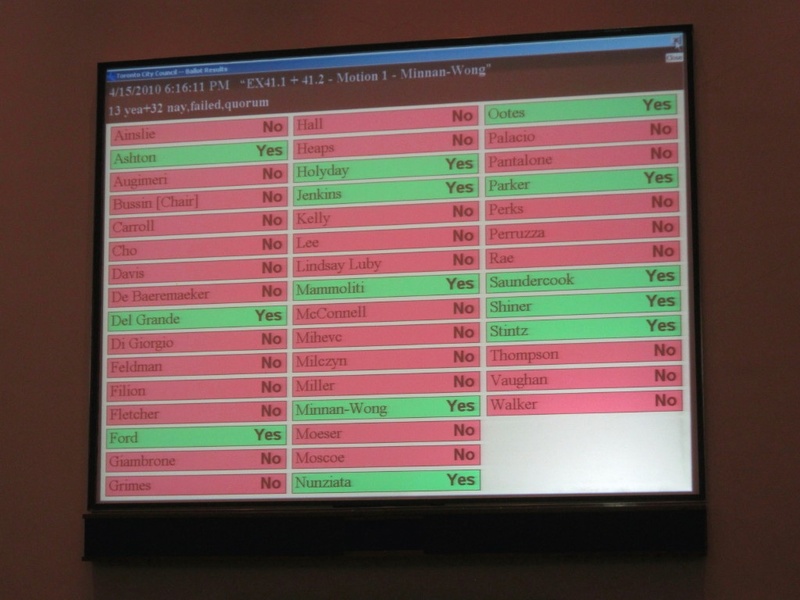 At 6:16:11 PM on April 15 Counsellor Minnan-Wong's motion to "torpedo" the Billboard Tax being connected to arts funding failed miserably. Years of community-based consultations and organizing has resulted in exactly what Torontonians had called for by a 5-1 margin. The revenue from the new Billboard Tax will be dedicated to arts funding for the public sphere. There’s nothing else to say really. Tip of the hat to Devon Ostrom and the entire Beautifulcity Alliance for their work, intelligence and sticktoitiveness. There were some dark moments there. Next time someone tells you grassroots organizing doesn’t work – or the current generation of artists is politically apathetic – feel free to send them the link to this post. Great news Mike. Thanks for keeping us posted! I’ll be sure to pass the link along! The hard work paid off! The Toronto Alliance for the Performing Arts (TAPA) is delighted for all our members, and beyond …. this is excellent news for the entire sector. Victories are so few and far between in this arena. It was a real joy to post this. Guess Rob Ford was wrong after all. Phewwfff.